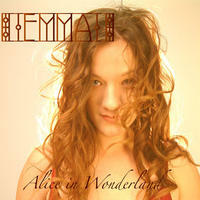 Sports football betting appEmma Wallace : Alice in Wonderland. Longing and love dance through this piano-jazz-pop EP which uses inspiration from literature, history and Viggo Mortensen. Like songs from an eccentric torch singer who's read far too many books, Emma charms with her whimsical lyrics and quirky piano. Alice in Wonderland spikes its lovelorn songs with humor that is refreshingly new. Enjoy the bilingual title track for a taste of the fantasy and sincerity that is found in Alice in Wonderland.